5. August 11 | All About Bugs! Although all volunteers and community partners of Just Food want to ensure Ottawa has a vibrant, accessible, sustainable food system, we have many diverse perspectives on how to get there. Just Food welcomes this diversity and believes that it is through working collaboratively with different opinions that we will arrive at a healthy food system for all. Any information that Just Food sends can include information from different community members and community partners and does not necessarily reflect the opinions of Just Food. If you ever have a question about any information listed here, please do not hesitate to e-mail info@justfood.ca or call 613-824-7771. On August 18th, in Ottawa, FLEdGE, Lakehead University, USC Canada, and Just Food will host a full-day workshop on the future of agroecology in Canada. Join farmers, researchers, community organizers, and students to discuss how to bring this international movement to Canada. Come hear from speakers from around the world, including from La Via Campesina and USC Canada, and across the country, including the National Farmers Union and Indigenous voices, and work together to build an agroecological movement here at home. Parking is limited, so please carpool, take transit, or bike. Ticket prices include a light lunch. For more details and to register online, go to the Agroecology Field School website. Locally produced food, music and libations—what a way to cap the day! After the Agroecology Field School and Research Summit, join us in the Red Barn for an evening of festivities starting at 6 p.m. with a full dinner from Wawatay Catering: baked bannock & butter; summer salad; roasted chicken; coconut curry and chick peas; wild rice pilaf loaded with vegetables! Match your food with a local craft beer or cider from the Ottawa region. This is followed by a hootenanny with music from Ottawa Contra Dance—not to be missed! If you can’t make it for the full day, don’t hang your head, come and catch up in the evening—tickets available separately, just scroll down and tick the Barn Dance box! Last chance! Get your tickets now, we need final numbers for the caterer by Friday! Savour Ottawa Taste Trails starting this August! Join us on our summer and fall tours – our first tour is Walk on the Wild Side. Tour rural west Ottawa to learn about wild edibles, fermentation, viticulture & winemaking, honey, and organic farming! Reconnect with the wild ways we source some of our favourite foods right here in the nation’s capital with visits to food/farm businesses with Savour Ottawa tastes along the way. This August the Salvation Army, Ottawa Public Health, Loblaws, Parkdale Food Centre, and COBS Bread Barrhaven have partnered to create the second annual Eat Together Ottawa campaign to encourage everyone to eat together and play together as a community, to overcome division and isolation, and build new connections of acceptance and hope. You can create your own Eat Together event by bringing your family, friends, neighbours and colleagues to the table to enjoy a meal and celebrate each other with an option to fundraise for a local food program. Join Earth Path for this family-friendly field walk with entomologist Henri Goulet from Agriculture Canada, who will show us bountiful bugs at the Just Food Farm. With nets and scopes in hand, we’ll look at many types of beetles, seek butterflies and search for critters under logs and leaves. Henri will also teach us how to safely pick up spiders, so we see them as friend not foe! Bring your kids, butterfly net if you have one, and enjoy a summer morning outside. This walk was a big hit last year, so register early to save your spots! The theme for Navan Fair 2018 is “Here We Grow Again”. Let Navan Fair be your family’s summer tradition! Launched in 1946, this rural celebration has all the countrified events one would expect from a great country fair. The Capital Fair is pleased to welcome everyone to the Rideau Carleton Entertainment Centre for a terrific 10 day event. The Fair features Eastern Ontario’s largest midway courtesy of World’s Finest Shows, great Fair foods and fun, a demo derby, the Wednesday night Rideau Carleton Cruise Night, lots for the kids including Doo Doo’s Dance Party, the Birds of Prey Show, the Travelin’ Farmer, the Monalea Petting Zoo and Pony rides, 4H competitions, the Soper Creek Wildlife Rescue and the Ultimutts Stunt Dog show and courtesy of neighbouring Rideau Carleton Casino; lots of daily entertainment and specialty acts. Whew! The Capital Fair really has it all! It is our annual summer party coming up on August 18th, with wicked guest chefs using local ingredients in a gorgeous rustic barn setting. Local live music, live & silent auctions, craft beer and local distilleries are also featured! It is a crucial event for the work that we do at The Table Community Food Centre. The setting is a rustic and elegant heritage farmstead re-done as a popular event space called EcoTay. 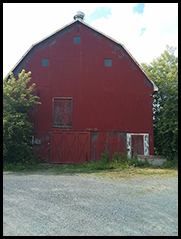 You will be surrounded by beautiful barns, hay fields, woods and meadows. Throughout the compact site you will find chefs’ booths each serving a distinct small plate featuring produce, meats and cheeses from the area. We work with our chefs to make sure vegetarian and gluten free options are available. There are indoor/covered and outdoor seating areas. Some guests prefer to stay standing, cocktail party style, as the move from one area of the party to the next. Food is mouth watering and you can wash it down with a local craft beer, regional wine, a cocktail with local craft spirits, kombucha, water, coffee and tea. August 19 is International Photography Day and gardens are a perfect setting for photography. This event is a photo tribute to all the gardens, plants and people on the Garden Promenade. You are invited to share the beauty of our region with your photos of the beautiful gardens along the Promenade. There will be workshops, exhibitions and other ways for the amateur and professional photographers to get involved. Let us know what you are planning to bring photography attention to your garden. Be sure to hashtag your photos with #GardenPromenade or #promenadejardins. As the days begin to grow shorter, and the heat of the summer starts to dissipate, people in this region look forward to the bounties of the harvest. This September, Gardenlicious is the opportunity to connect your garden to the culinary world. Does your garden already have a culinary experience? This could be the opportunity to connect with a local chef and restaurant. You could host a chef from one of our official restaurants for your visitors to meet, which will offer a truly delightful garden culinary experience from the farm to the plate. Watch http://www.gardenpromenade.ca/gardenlicious-sept-22-24-2017/ to learn about activities, times, and locations where you can enjoy some of the city’s best Garden-to-Table experiences. We think anytime is a good time to visit the National Capital Region, but autumn is by far one of our most colourful times of year. The tulips and gardens may just be memories in October, but the blazing glory of the deciduous trees and the soft warmth of sun along the Garden Promenade combine into a Fall Rhapsody that is renowned world-wide. Bring your camera and put your hiking boots on. There is so much to see and explore you’ll want to make this spectacular season part of your annual sojourn to the Capital. Keep an eye on http://www.gardenpromenade.ca/garden-fall-rhapsody-october-7-9-2017/ for more information soon.